Running on a budget of $40 million, musical romantic drama ‘A Star Is Born’ has raked in worldwide profits worth $363 million, ever since its release on October 5, 2018. Two months later, the film remains one of the most talked about remakes to have come out in a long time, many tipping it as a clean sweep at all the major award shows. For those who still have not availed their chance of viewing it as yet, here is our roundup on where the film went wrong and where it shines. STRENGTHS — award-winning singer and songwriter Lady Gaga is indeed the star of the film. The entire story revolves around her and she does justice in every frame. The 32-year-old musician delivers the performance of her lifetime with both her acting and vocals in sync leaving one undecided which of these performances are better. She is natural, in control and dominant over her co-stars, owning each scene with aplomb. A few of the scenes where she is singing casually without any music are the ones that show the singer’s prowess and effortless skill. Her performance does not come across as forced and neither can anyone tell that it’s Gaga’s debut film. One of the scenes in which she visits her husband in rehab and then another when she finds out about her Grammy nominations is worth seeing all over again. “La vie en rose,” “Shallow,” “Remember us this way,” “Why did you do that?” and “I’ll never love again” are the tracks that Gaga sings like a true star. For her debut performance Gaga outshone her industry veteran co-star Bradley Cooper in every way. If that doesn’t earn her an Academy Award nomination, we wonder what will. The film will prove to be a major turning point in Gaga’s career as it is with this project that her career as an actress will kick off. A movie star has truly been born. The songs are the strongest points of the film. ‘A Star Is Born’ has a total of 19 songs which have been written by Luke Nelson. Some scenes of the film were beautifully shot. The ones that stay with you are when Gaga makes an appearance in the opening scene. She’s singing a song to herself while taking out the trash of a restaurant she waitresses in and then comes the title of the film ‘A Star Is Born’. The scenes in which she finally takes Cooper’s offer and travels via his personal jet with her best friend, when she goes up to his hotel room and finds him asleep, when she hears of his passing, when Cooper is telling someone about his teenage suicide attempt and the very last scene where Gaga sings “I’ll never love again” — a scene that left the entire hall in tears are the most noteworthy ones. 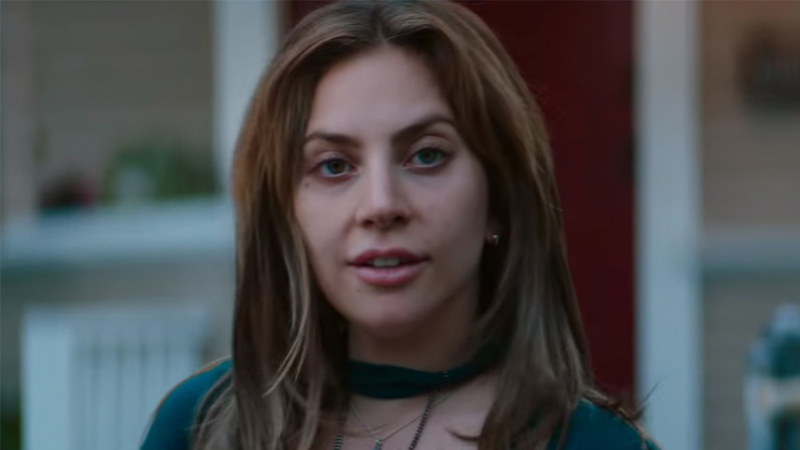 WEAKNESSES — Gaga’s performance and the film’s songs are the only unique selling points of ‘A Star Is Born’. This is the fourth remake of the original 1937 film and is basically a rehash of the same storyline and script as well. The film has nothing new to offer other than the aforementioned aspects. There are no surprises, no suspense and zero to anticipate. If a film is to be remade, just changing the cast and tracks should not be followed, the story should evolve as a modern-day version of its predecessor. Bradley Cooper is a fair director considering he made his debut behind the lens with ‘A Star Is Born’ and one has to hand it to him for coming through with his vision. However, the 43-year-old actor fails to convince the audience that he’s a grown drug and alcohol addicted celebrity with a troubled past. Long, disheveled hair pulled haphazardly back in a ponytail with cuts, scrapes and bruises on the face and neck does not convince us enough for one to come across as a rockstar. Perhaps, Cooper should’ve taken a look at Jeff Bridges’ performance of a similar character in the multi-Oscar nominated film ‘True Grit’, where the actor’s depression is so tangible, you can almost touch it. Cooper fails to make the camera focus on his own personal struggles and speedily skims through the amount of intoxicants he consumes, so much so that it actually comes as a surprise when he gets admitted in a rehab centre and ultimately shoots himself. The actor fails to reach out. It’s reported that Academy Award-winning actor and producer Leonardo DiCaprio was supposed to star as Jackson Maine but later opted out due to some reasons. Here is an actor who can pull intense roles because that’s what he’s been doing all his life. Cooper is a chick-flick, rom-com, action hero and playing intense roles is just not his forte. We believe he bit off more than he could chew with this role. The side characters also do not convince one enough. Sam Elliot as Bobby Maine remained insignificant and not impactful enough. He appeared bored and forgetful in most of his scenes. ABOUT THE FILM — written by Eric Roth, Cooper and Will Fetters, the film stars Cooper, Gaga, Andrew Dice Clay, Dave Chappelle and Sam Elliott and follows a hard-drinking musician who discovers and falls in love with a young singer. Talks of a remake of ‘A Star Is Born’ began in 2011, with Clint Eastwood attached to direct and Beyoncé set to star. The film was in development hell for several years. In 2016, Cooper signed on to star and direct and Gaga joined the cast. Principal photography began at the Coachella Valley Music & Arts Festival in 2017. 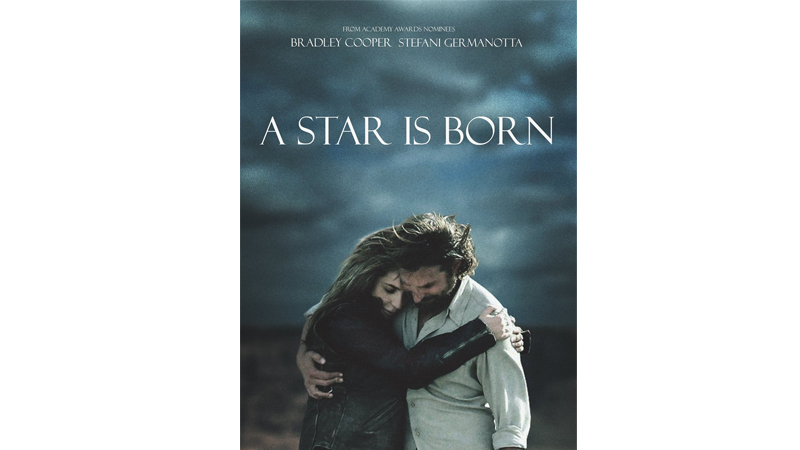 ‘A Star Is Born’ premiered at the 75th Venice International Film Festival on August 31 and was theatrically released in the United States by Warner Bros. The film has received critical acclaim, with praise for Cooper, Gaga and Elliott’s performances and Cooper’s direction, as well as the screenplay, cinematography and music. The National Board of Review chose it as one of their top 10 best films of 2018, with it also winning Best Director, Best Actress and Best Supporting Actor.